 Iran, March 21, 2019 - Tensions began flaring in the two cities of Dezful and Andimeshk of Khuzestan Province, southwest Iran, as locals were seen clashing Wednesday afternoon with state police and members of the Revolutionary Guards (IRGC) Basij paramilitary forces, only hours before the beginning of the Iranian calendar new year. Reports show a number of regime agents were beaten by the protesters. The feud resulted over the installation of a billboard, displaying images of regime proxies killed in Syria who are described by the mullahs as “Protectors of the Shrine.” This billboard was installed 500 meters outside of Andimeshk’s entrance. During Wednesday’s clashes, the angry locals of Andimeshk protested the installation of the new billboard by attacking the regime’s Red Crescent office where state forces had gathered to launch their attack, setting the facility on fire. Protesters also set a number of state vehicles and police motorcycles ablaze, reports show. A number of protesters were reportedly killed and wounded by regime agents and state police.